The other day, in a mad dash for lost information, I pored through old and recently deleted emails, getting lost in a sea of old news. I went back as far as ten years, connecting random threads from what I thought was the source of the missing information I sought. The search inadvertently led me sideways and backwards into a mass of family health and medical history that was both compelling and disturbing. After an hour of this sleuthing, I received a phone call and left my office, one thing leading to another in a familiar distracted style, until finally, I walked my dog. Fluffy, exuberant dog on leash, earbuds inserted, Bob Seeger blaring, I found my thoughts miles away from my feet, entirely missing the sun-soaked path on the river’s edge. Mentally I was reviewing the years-old emails. Many of them were desperate attempts from friends and acquaintances to connect with me in my previous strife. Jogging along the river, I felt that strife. My mood shifted, my gut wrenched, my neck stiffened. My foot hit a shrub root, and I tripped over the leash, skinning my knees and elbows. Back at the house, I cleaned and bandaged my wounds. It could have been a lot worse, I knew. The phone rang, and I was diverted by a radio interview I’d momentarily forgotten about, followed by a series of book signing requests. It was another two hours before I returned to my inbox, hidden behind a slew of browser tabs. Reading the mail, I was at first perplexed and a bit disoriented. Why were people sending me impassioned messages about prayer and healing? It was a moment before I realized that what I’d been reading was the same trash I was buried in this morning. The thing about trash is—it’s a waste. It’s obvious that old news is a time drain. There were so many other things I could (and should) have been doing. But while I was following that email thread, I did notice a couple of things. One was that some of the most impassioned emails had gone unanswered by me. The other was that those same acquaintances had not been in touch with me since. First I thought—why should that bother me? After all, at the time I’d been tending to the critical medical details of the prolonged emergency of a family member. And anyway, the statute of limitations on email etiquette had surely expired. I returned to my computer and shipped all the troublesome mail to the recycle bin where it belonged. Out of sight, out of mind. Not that the recycle bin is the end of the information road, God knows. To actually delete old news in a permanent way is a separate and very deliberate step in the process of freeing the computer of storage clutter and moving forward. Life is a lot like that. We humans runneth over with old, unprocessed, undeleted news. As fast as things happen in our modern world, it’s no wonder that we race on as if nothing has happened at all. I personally know people in the New York area who have never even discussed 9/11. They just…could not. So they ‘moved on’ or ‘through’ to a safer stretch of road on the information highway. The problem is if we’re not deleting old news, especially traumatic news, we’re building on its unbalanced foundation even when we think we’re not. 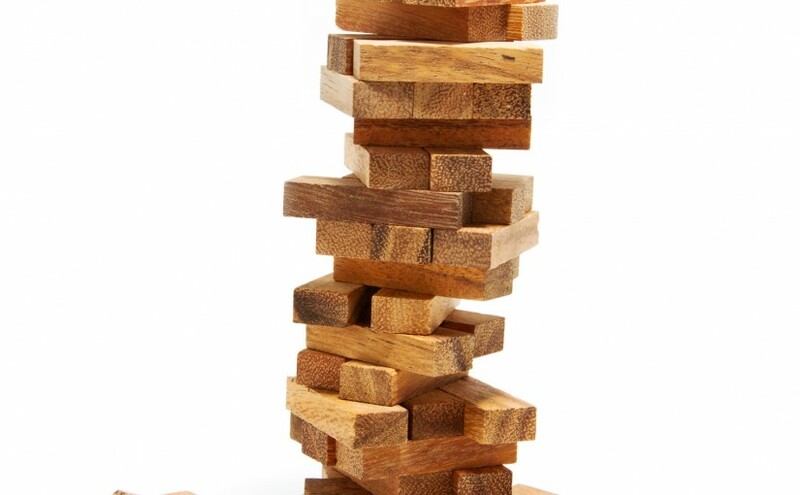 Like an old-fashioned game of Jenga, we pile new experiences on top of old unresolved experiences, hoping no one will pull the stabilizing pieces out, reducing our fragile wooden towers to rubble. Gurus reinforce the importance of the present moment, and computer trash is a good way to understand its weight. If you’re spending the day saturated in old news, especially bad news, you can’t possibly create anything new or good. Old experiences ransom our ‘mindshare’, creating a mental/emotional brain drain that causes overreactions to unrelated issues. The truth is—nothing fresh can be created from old material, already set or dried. Picture a potter throwing clay already baked and hardened, or an artist trying to manipulate dried paint from an old canvas. It can’t be done. That afternoon, reflecting on these thoughts, I wondered—why had I not emptied my own bin? Both digital and emotional? Why were those files so handy? What possible good did I think could come of holding onto so much grief and sorrow? I was over it, wasn’t I? And so began the self-examination that led me to this question: What had I missed in that experience that still awaited resolution? After a period of meditation, I realized that in that strife I had felt alienated from everyone I knew. (Or at least from those who had not had a similar experience, which was pretty much everyone I knew.) A gregarious person, I was suddenly alone and in charge of a terrifying situation for which I had no reference points. People were eager to give advice, and yet, they had no idea what we were experiencing. How could they? So I hunkered down to figure it out myself. Isolation, even self-imposed, creates walls of resistance that for a while may be a protective reflex, but over time can become a hardened form of ingratitude. I realized that for a time, I too had become ungrateful, even for those offering all they had—prayer and solace. That evening I walked into my office, sat down, and deleted my entire recycle bin. Hidden files were everywhere, so it took a while. But this time it was well worth it, because now I was creating room in my computer for new stories, new threads, new events. Afterwards, I picked up the phone and called a few old pals, creating room in my heart. Awkward at first, I soon felt my burden lighten precipitously. Some day, I thought, it would be these people who would need help. I wanted them to know that I had taken the time to create room, not only for myself, but for them.